When I was a child I remember dreaming about being a librarian or working in a book shop just because I had a long list of books I wanted to read and that way I wouldn't have to buy them all and still be able to read them. Me: ".. Oh mom I bought this new book from XY, hopefully it's as good as the previous one." Mom: "Have you read this one yet?.. take it, it's a nice story." 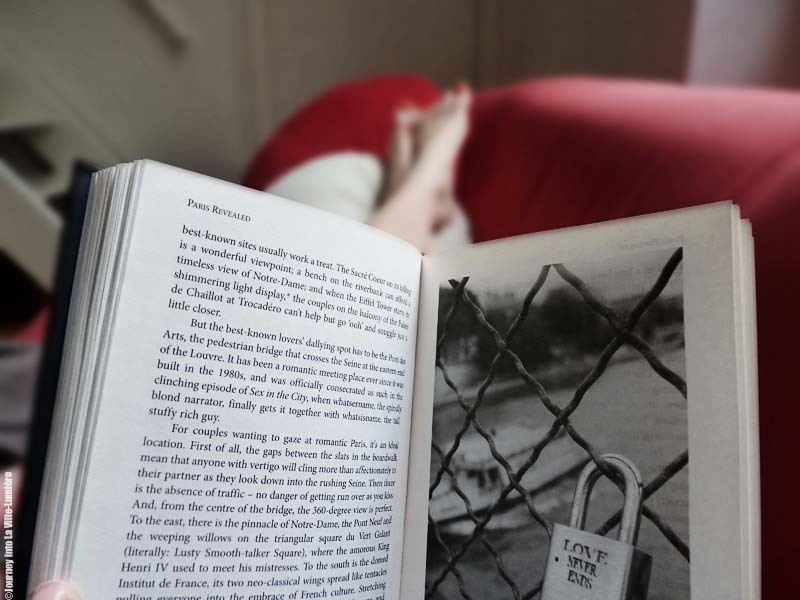 Right now I am reading a book about Paris (of course! ), from Stephen Clarke "Paris Revealed." It's not a standard travel guide but a very readable book with useful information about Paris and Parisians, little bit of history and lots of witty lines making me laugh out really loud. The perfect time to read a book with a hot cup of tea as the weather is still the same...grey and cold.